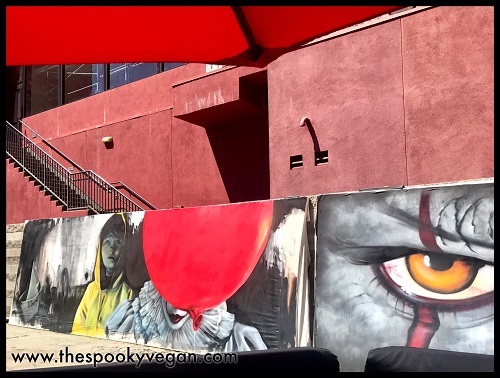 IT is one of my favorite horror stories, so when I heard about this promotional haunted house in Hollywood for the upcoming release of the movie IT I had to go. When the haunted house was first announced they offered people the ability to book a free reservation time but online reservations quickly sold out. They opened up a waitlist but that also became full, so now your only option is to show up and wait. We went on a Monday at 2PM hoping the line would be shorter. Our wait was about 1.5 hours. I heard the line has been as long as 3 hours, oh my. For me, having been spoiled with front of the line at most haunts, the wait was too long especially due to the heat but it was still doable. It was 90 degrees that day but luckily they had umbrellas covering part of the line. There are metered spots around the event but most are only 2 hours. We paid for the lot next door at $20 to avoid a parking ticket. Yikes! You will enter the first line off Vine, which is the registration line. You must be over 18 with a valid ID. In this line you sign a waiver, show your ID, go through security and then get into the main line for the attraction. You are waiting on the side of the house the whole time. 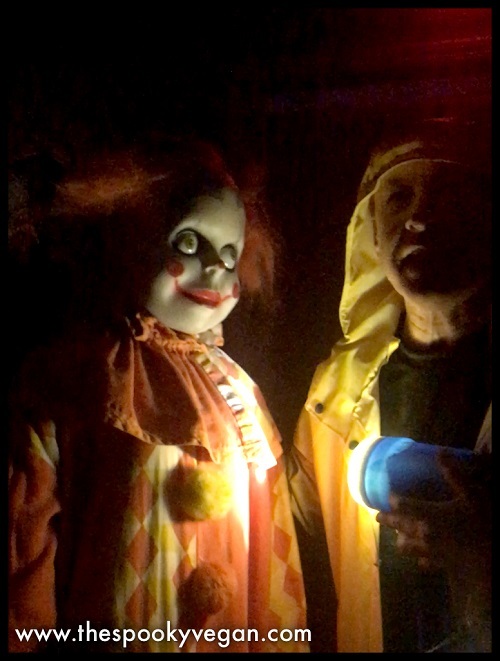 By the time you get to the front of the line they take you up to the front of the house where you have a photo-op with your tour guide, Georgie. I enjoyed the anticipation of waiting to see the front of the house because we did not pass it on our way to the event. The outside of the house is beautifully done. They gave us plenty of time to take photos. 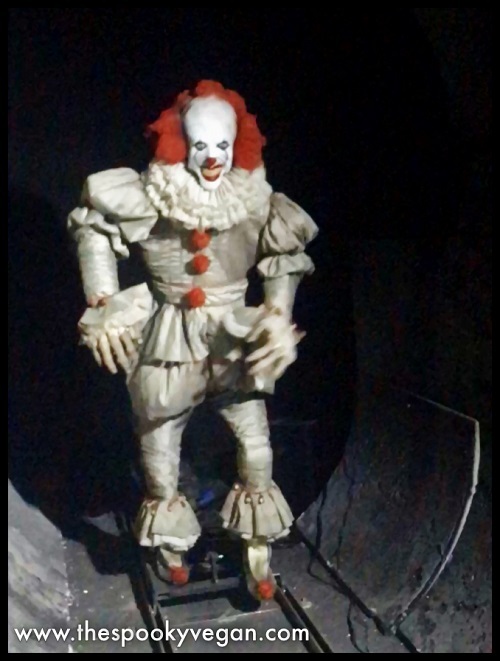 After your photo-op, Georgie, equipped with his flashlight, brings the 7 guests into the house and up a spiral staircase where the adventure begins. 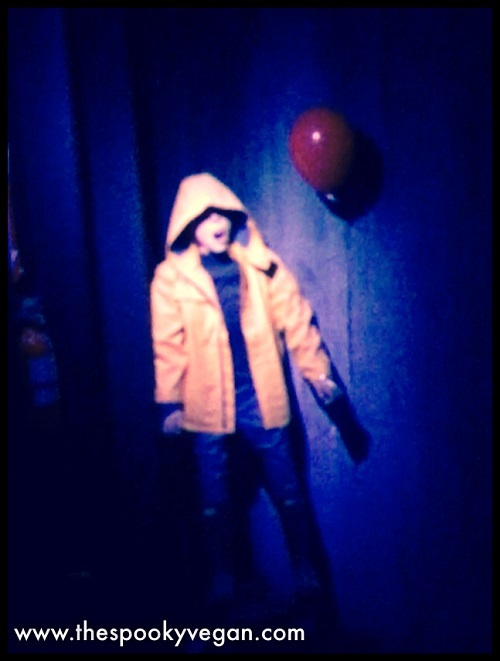 As you enter the first room you are surrounded by several clown mannequins. I personally am afraid of clowns so it didn’t take much for this room to make me feel uncomfortable. 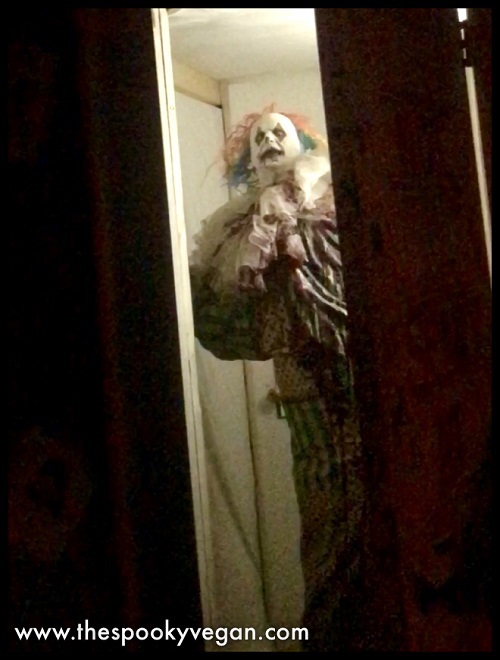 As a huge Halloween Horror Nights fan, I expected one of the clowns to be an actor, jump out and scare us but sadly there was not much interaction throughout this house. 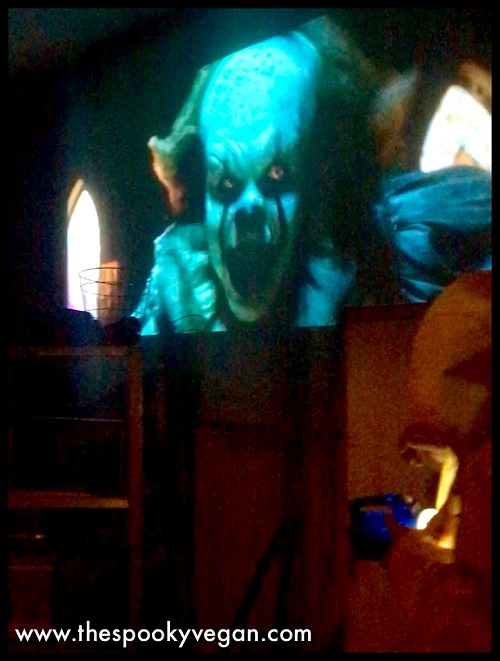 We were then guided into the next room where there was a TV and two screens projected onto the walls with IT movie clips playing on them. 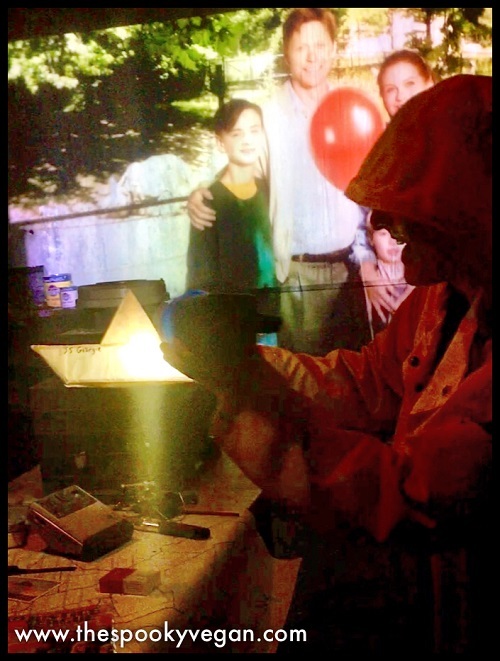 Being surrounded by those images and the audio brought that room to life. After leaving this room you head down stairs where there were mechanical hands coming out by the side of the stairs by your feet. I was first and screamed so loud as usual. 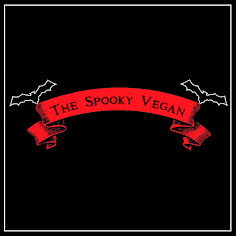 Throughout the house I was the first person through every door, and it was much scarier that way! 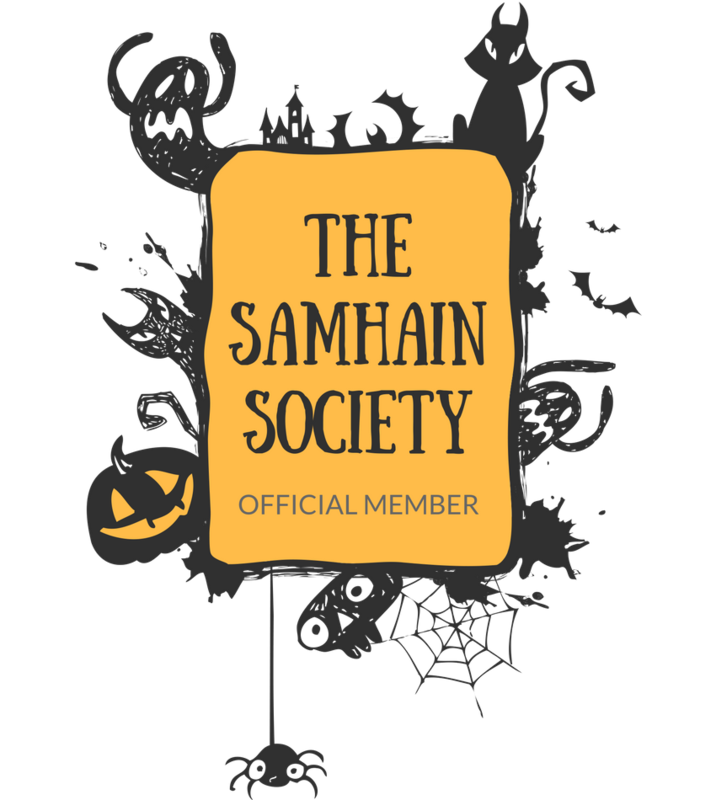 What's behind the "Scary" door? The next room at the bottom of the stairs had three doors inside it. 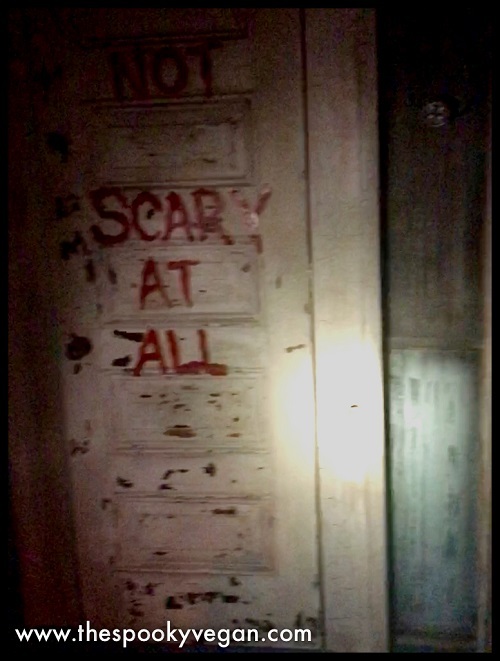 On the doors were the words painted in red, "Not Scary," "Scary," and "Very Scary." 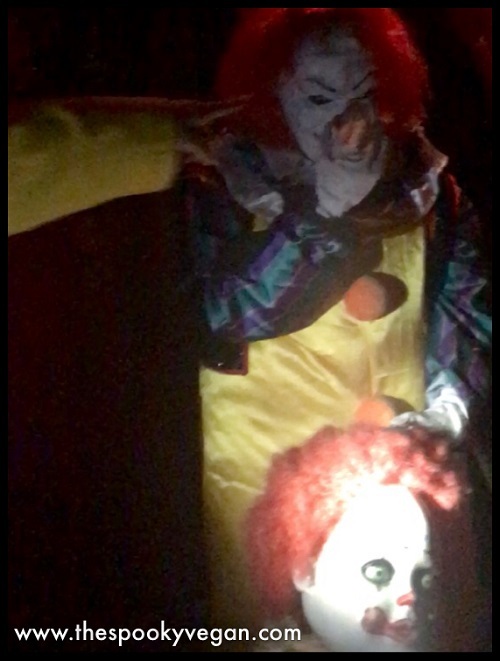 Volunteers from our group opened the "Not Scary" and "Scary" to find scare actors inside jumping out at you. 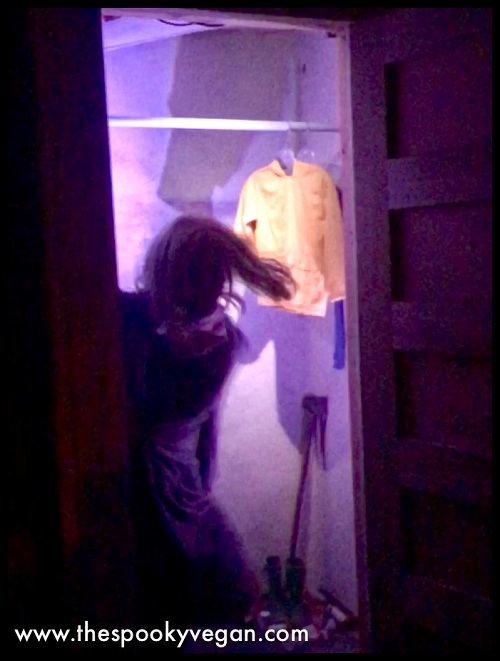 Then Georgie told us to go through the "Very Scary" door. 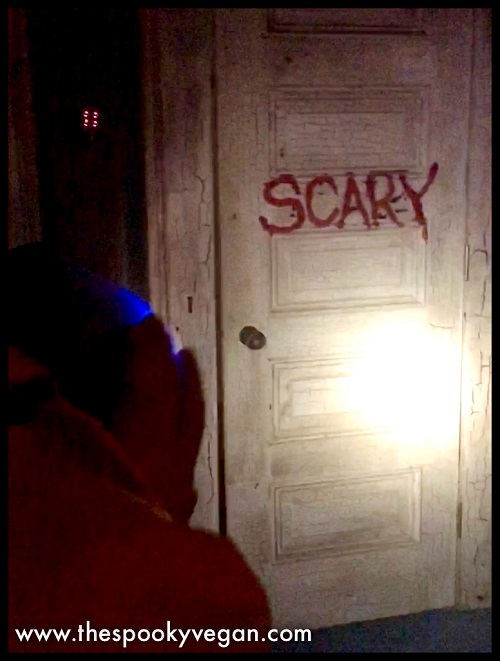 After going through the "Very Scary" door you enter a room with projected bugs crawling on a toilet and creepy figure hunched over a sink. The bug crawling effect was very cool. The final room is the sewers where you finally meet IT. This room scared me because of the build-up of knowing you will finally meet IT. I was just disappointed that IT was clearly attached to tracks on the floor that they didn’t attempt to cover up which made IT much less scary than I had hoped. And that was it. It took maybe 10 mins to go through the house. Overall this was a fun and unique experience. The interior and exterior design of the house was excellent but the scares were really lacking. 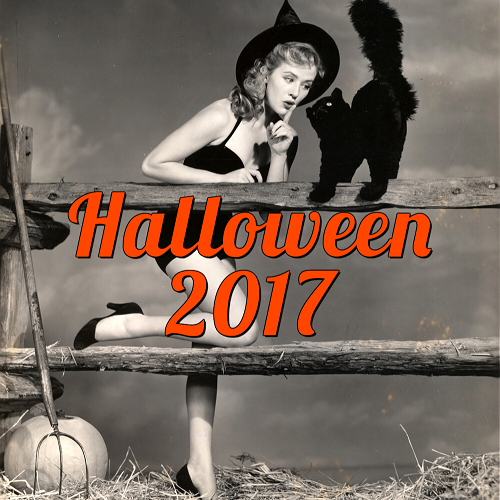 I heard that this house made it so Universal Halloween Horror Nights was unable to do an IT maze this year. That’s really unfortunate because they would have done the film justice. I’m really hoping John Murdy of Halloween Horror Nights Hollywood gets the chance to do it next year. This was definitely a nice treat before seeing the movie which comes out September 8th. I can’t wait to see the 2017 version! 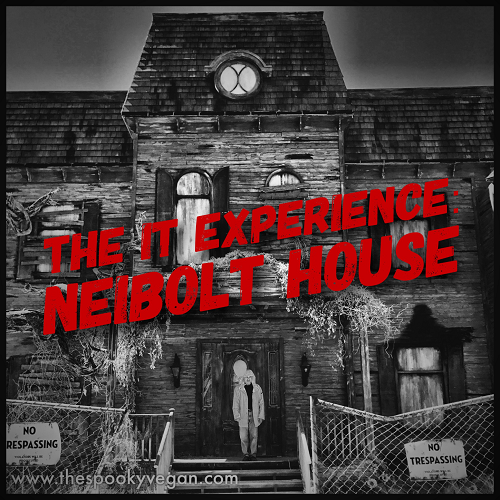 Have you visited the Neibolt House? 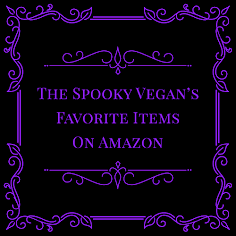 We would love to hear your thoughts if you have! Who else is excited for IT?! I know both Kerry and I are!